Mississippi’s Mother Nature, Fannye Cook. Jackson, Miss.—Wildlife Mississippi, the U.S. Department of Transportation Federal Highway Administration and the Mississippi Department of Transportation (MDOT) and unveiled plans today for Mississippi’s largest urban natural area. The site was named for Fannye Cook, a pioneer conservationist and scientist in Mississippi. She was the driving force behind the creation of the Mississippi Game and Fish Commission (now called the Mississippi Department of Wildlife, Fisheries and Parks) and the Mississippi Museum of Natural Science. officially transferred ownership of the natural area in Rankin County to Wildlife Mississippi and presented Walker with the land deed to the property, which borders the Pearl River and covers approximately 2,700 acres. In 2009, MDOT purchased the property from International Paper for the purpose of establishing a new mitigation bank to offset unavoidable losses of wetlands incurred during road construction projects in the Pearl River Basin. The bank will support the widening of the State Route 25 and other projects in the basin. Plans unveiled by Wildlife Mississippi detail how the property will be used for recreational purposes including kayaking, canoeing, walking/hiking, bird watching and environmental education. 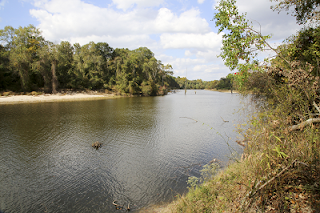 The City of Jackson receives most of its drinking water from the Pearl River, and maintaining the site as a natural area will help protect the quality of the river’s water. It is the largest protected natural floodplain habitat in the Jackson-Metro. The property is more than three times larger than New York City’s Central Park and is among the top 20 largest urban green spaces east of the Mississippi River. Several imperiled species live on or near the site, and more than 820,000 people live within 60 miles of the site, which is easily reachable from its entrance off of Lakeland Drive in Flowood. Cook began the first comprehensive effort to collect and catalog the plants and animals of Mississippi in the 1920s and continued this work until her death in 1964. She traveled the state at her own expense to campaign for a statewide wildlife conservation program. As a result of these efforts, the Mississippi Legislature created the Mississippi Game and Fish Commission in 1932.